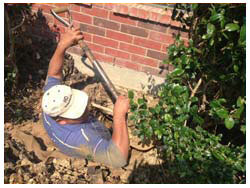 HD Foundations Provides Foundation Repair In Colleyville, TX. We’re Contractors That Halt Foundation Problems. Get Solutions And A Warranty. Is Colleyville foundation repair required? We’re contractors that resolve issues and offer a lifetime guarantee. Contact HD Foundations when you have trouble. 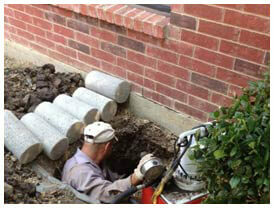 As an experienced Colleyville company, we provide foundation repair solutions. Ask us to perform a foundation evaluation on your structure at no charge. Why HD Foundations For Foundation Repair In Colleyville, TX? Our company services concrete slab foundations and pier and beams structures. We stop structural foundation damage and restore your structure to its original position. HD Foundations eliminates sinking and foundation settling. When we fix your foundation, we make it level again. We terminate cracked concrete slab foundation issues. When it comes to house leveling services, we know what to do. We’re Colleyville foundation repair contractors who perform residential and apartment service. Our company has an A+ Better Business Bureau rating. HD Foundations is known for halting foundation repair problems in the Colleyville area by installing interior and exterior foundation piers. This includes pressed concrete foundation piers and steel pilings. Our services eliminate foundation cracks and a variety of other foundation issues. If you need pressed foundation piers, call us. We service the entire DFW metroplex. HD Foundations is a contractor that stops foundation movement and deflection. We put an end to dilemmas such as sagging floors, cracked walls and damaged, wet crawl spaces in pier and beam houses. In addition to providing crawl space repair service, we’re a Colleyville contractor offering a lifetime foundation repair warranty. 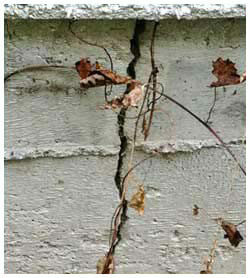 If you have foundation cracks, exterior brick fractures, interior wall gaps or other concerns, we stop them. We install French drains, surface drains and more. These systems protect foundations from deterioration. To guard against deterioration, call HD Foundations. We’ll be happy to stop by and perform a no-cost foundation evaluation. It’s easy to protect your commercial complex, apartment or residential property in Colleyville. Foundation repair company estimates can be scheduled free online today. Or, if you like, please just phone us.